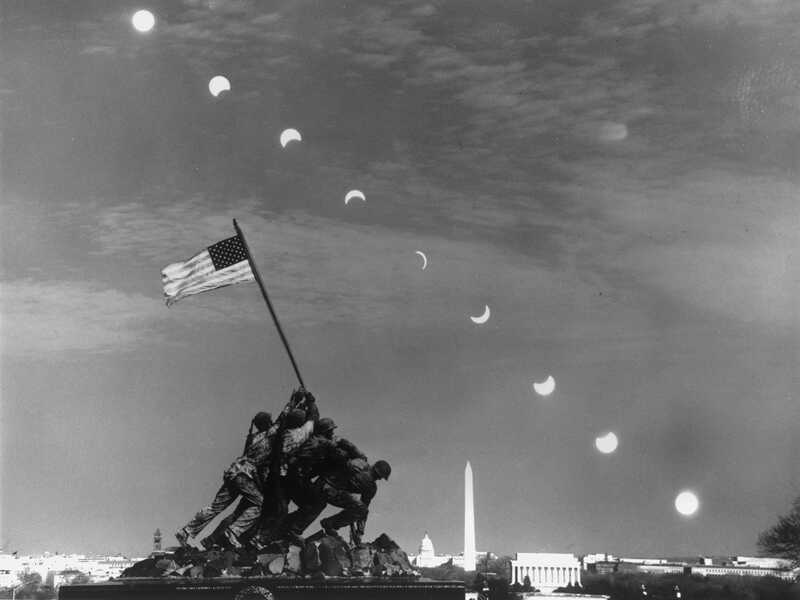 Getty Images7th March 1970: Ten separate exposures on a single frame show the phases of a partial solar eclipse in the sky over Washington, DC. In the United States, the next total solar eclipse will happen on August 21, 2017 — the first time since 1979. 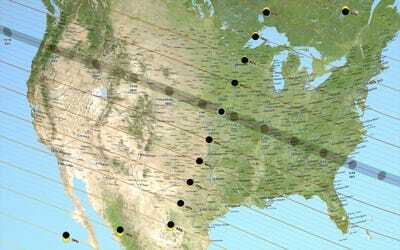 Next week’s eclipse will be the first to cross the entire continental United States since 1918, however. 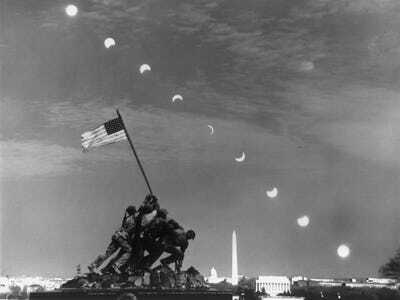 According to NASA, the total solar eclipse on February 26, 1979 crossed through Washington, Oregon, Idaho, Montana, North Dakota, and the Canadian provinces of Saskatchewan, Manitoba, Ontario and Quebec. On August 21, only people in the relatively thin line of totality will get to see the full eclipse; most parts of the country will only see a partial one (when the moon covers a portion of the sun). If you’re not going to see the total effect this year, though, your next chance is not too far away. A total solar eclipse is an astronomical phenomenon that occurs when the moon passes between Earth and the sun, and appears to cover the latter. The two other types of eclipses are annular and partial. In Earth’s history, there have been some 3 billion solar eclipses in the US alone, though some were partial rather than total. The best cities in the US to see it will be Salem, Oregon; Nashville, Tennessee; Kansas City, Missouri; Lincoln, Nebraska; and Columbia and Charleston, South Carolina.